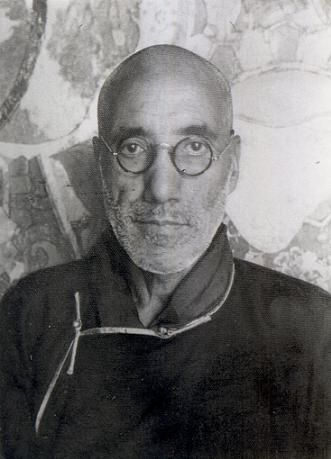 Negi Lama (1894–1977) of Kinnaur, though never a monk, was one of the foremost Buddhist scholars of his time. After mastering classical Tibetan so as to understand fully the classical philosophic texts, he went to Tashilhunpo and Lhasa, receiving teaching there and himself teaching Tibetan grammar. Professional jealousy drove him to Khams where he spent 19 years, partly at the royal court, mostly at successive monasteries and yogins’ retreats, studying in libraries and gathering tantric initiations. He then returned to Varanasi in India to learn Sanskrit, the original language of Buddhist philosophy. While living there in very poor circumstances, the Dalai Lama heard of his reputation and made a special visit to meet him, subsequently arranging for him to move to Bodhgaya and instruct H.H. and others. By his collection and critical study of many little known teachings, otherwise lost in the Chinese occupation of Tibet, he gave a new impetus to Buddhist study. 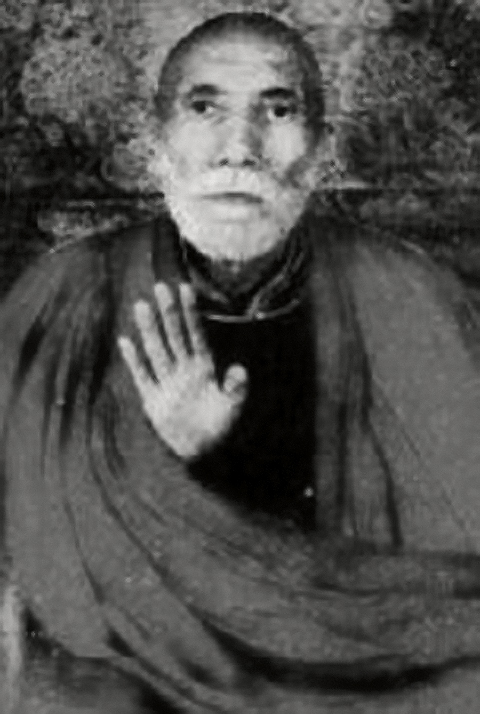 Tashi Rangyas of Leh was one of his disciples. The man who is the subject of this presentation will probably be unknown to most of the readers. His name was Tenzin Gyaltsen (bstan 'dzin rgyal mtshan), but among the different ethnic groups of Tibetan culture in the Himalaya he was also known under various other names like Kunu (khu nu) Rinpoche, Kunu Lama and Negi Lama (ne gi bla ma)². While working on a research project on modern Buddhism in the Himalaya³ I often had come across his name and became aware that he must have been an important personality of contemporary Tibetan Buddhism. However, apart from some fragmentary information I was able to get from some of my informants – who all spoke about him with deep respect – I could not find any complete account of his life, so that I was in the situation of having some pieces but being unable to complete the jigsaw. By chance, while spending some time at the Ladakh Bauddha Vihara (Ladakh Buddh Vihar) in Delhi at the very beginning of 1993, I met Mr. Roshan Lal Negi, a scholar of Buddhism from Kinnaur, who introduced me to his father, Sangnak Tenzin (gsang sngags bstan 'dzin)⁴, who had himself been a disciple of Negi Lama for many years of his life. From Sangnak Tenzin’s narration I could record quite a complete account of Negi Lama’s life which is the main source of information I used for this paper. Although it was an unexpected opportunity to get a first-hand account of his master’s life from Sangnak Tenzin, I stay aware of the fact that relying upon one single testimony as the source of information implies a certain lack of reliability for a scholarly contribution of this kind. Nevertheless Sangnak Tenzin, by the beginning of 1993 an old blind man of 82 years who since the death of his wife had lived a life consecrated to religion, had received his knowledge about the early life of Negi Lama from his master’s own narrations. The later parts of his account were Sangnak Tenzin’s own reminiscences. Although Sangnak Tenzin’s account was quite different from the type of biographical accounts that can be found in traditional Tibetan hagiographies (rnam thar)⁵ it was not a purely historical account either. Sangnak Tenzin’s obvious intention was to relate what he considered the most important episodes in the life of his guru, and not to give a historical account of his life in the scholarly sense of the word. His discourse was very enthusiastic and he conspiciously emphasized certain episodes which seemed to be of great importance to him while just passing over several years of time which he considered to be of lesser significance. Moreover, precise dates as well as topographical and personal names were rare and quite inaccurate in his account. I tried to cope with that problem by noting down problematic points during the interview and trying to clarify them afterwards. After each single part of the interview, which more or less coincided with the different phases of Negi Lama’s life, I inquired about some of the passages which I thought had not been treated intensively enough. However, although he doubtlessly tried his best, Sangnak Tenzin was not always able to give an accurate answer, obviously because I asked questions which seemed to be of secondary importance to him, and about which he therefore had never really thought or enquired. The antinomy between critical-scholarly and devotional-religious discourse in the interview situation is a well-known methodological problem of fleldwork research on which I do not intend to elaborate further here. Pointing out the existence of this problem is, however, important in the present context since it may explain some of the shortcomings of this contribution. Nevertheless, in spite of those limitations Sangnak Tenzin’s account also included many anecdotal items, which I think cast an interesting light on the personality of his master by making him appear in a very human perspective. I completed the basic material from Sangnak Tenzin’s testimony with some pieces of information I had been able to collect in the course of my research work before and after my encounter with Sangnak Tenzin. Thus, in spite of some contradictions, I could in parts amend for the almost total lack of dates in the interview. Where sources apart from the interview have been used, the name of the informants or the references of the sources used are given in the footnotes⁶. Although I still am aware of the fact that some points need further investigation, I have come to the conclusion that enough material is available for giving a preliminary but valuable account of Negi Lama’s life, as well as for an appreciation of the influence he exerted on Tibetan Buddhism as a whole. Negi Lama was born in 1894 in the village Sunam which lies in the forest-clad province of Kinnaur in the western Himalaya⁷. In contrast to most well-known lamas he was neither an incarnation or tulku (sprul sku) nor even a monk (dge slong, Skt. bhikṣu) but chose to live the life of a layman for his lifetime. The only vows he took were those of a lay practitioner or genyen (dge bsnyen, Skt. upāsaka). We must presume that he never felt the need to take more than layman vows, for he would obviously have had enough opportunities to do so in later years while staying in several monasteries for long periods of time. He was still a teenager when for the first time he considered becoming a student of religion. His parents, who were very wealthy, were strongly opposed to these plans, but he was sternly determinated and at the age of 18 or 19 he decided to ignore their objections and secretly go to Sikkim, where he hoped to meet a proper teacher. The final decision to leave home must have come very suddenly, for, according to the narration of Sangnak Tenzin, he did not even take the time to put shoes on, so that it was bare-footed that he set out for a journey which was to last for almost his entire life time⁸. From his native country of Kinnaur he first headed for Spiti, then to Lahaul and from there to the town of Manali in Kulu valley, the first destination he had set for himself on his journey to Sikkim. Because of his hasty departure from home, he had not been able to bring any money with him and soon had to look for some financial resources. As he knew some people in Lahaul and Kulu to be debtors to his family, he claimed to have been sent in order to collect partial refunds. After he had gathered enough money he left Kulu for Sikkim. In Sikkim he stayed with his brother-in-law, Sonam Zi Negi (bsod nams gzigs(? )ne gi), and began to study Tibetan grammar with Urgyen Tenzin ((db)u rgyan bstan 'dzin), a famous Sikkimese scholar of that time⁹. The fact that Negi Lama put so much emphasis on beginning his studies of religion by intensively learning grammar with a renowned scholar is quite remarkable. It clearly shows that, even though a young and unexperienced student, he was already convinced of the futility of learning by heart religious texts as the monks generally do, without previously acquiring a proper knowledge of classical grammar which first makes them understandable. He studied with Urgyen Tenzin for about 3 months in order to reach the grade of “Master of Tibetan language”¹⁰. Then he decided to go to Tibet. His plan was to study Buddhist philosophy and since Tashi Lhunpo (bkra shis Ihun po), the seat of the Panchen Lama, was the first monastery of importance on his way from Sikkim to Lhasa, he stayed for about eight to nine months and acquired the grade of gyugchung (rgyugs chung) there.¹¹ After that he continued his journey to Lhasa¹². About seven kilometres from Lhasa there was a small monastery of the Drukpa Kagyu ('brug pa bka' brgyud) tradition, known as “Kamda Tulku Monastery”¹³. In this monastery Negi Lama received teachings on phyag rgya chen po (mo)/Mahāmudrā from Kamda Tulku¹⁴ and he himself taught Tibetan grammar to his teacher, a subject in which he, although still being very young, had by now become an expert. For about 6 years he met Kamda Norbu every day, teaching him and getting teachings from him¹⁵. His exceptionally good understanding of Tibetan grammar quickly made him famous in the Tibetan capital. He taught at many places, and many people came to listen to his lectures. Most of the time he used to stay at the medical college of Mentsi khang (smart rtsis khang). The fame Negi Lama had won with time, however, was not to everyone’s taste. A great scholar of Tibetan language, whose name we unfortunately do not know, became jealous of Negi Lama and started spreading rumours against him, pretending that his teaching was not proper and that, as a non-Tibetan, he could not have a correct understanding of Tibetan language¹⁶. Confronted with this situation Negi Lama decided that he should better leave Lhasa, for he had no powerful protector. He left the Tibetan capital for the eastern province of Khams where he hoped to escape this kind of intrigue¹⁷. Negi Lama was to remain in Khams for 19 years. He first lived in Derge (sde dge) where he stayed at the king’s palace teaching Tibetan language and grammar to members of the royal family. He is said to have had a very good relationship with his pupils, the son and daughter of the King. After his death some rumours occured among the Tibetans pretending that the king’s daughter’s child was in fact Negi Lama’s illegitimate offspring. During the years following his stay in Derge, Negi Lama went from monastery to monastery and from master to master in order to gather as many tantric initiations (dbang) as he could get. In all those years Negi Lama had about 100 teachers, some of them famous scholars but many unknown ascetics, a large number of them being lay practitioners, living a life of retreat in caves hidden in the mountains. One of those lay practitioners, whose name we unfortunately do not know, seems to have been one of Negi Lama’s most important masters. He is said to have been living for years alone in a cave wearing nothing but a goat skin. From him Negi Lama received extensive teachings connected with the Dükhor (dus kyi 'khor lo)/Kālachakra-Tantra, which took about nine months. Out of all these teachers from Khams only one, Jamyang Khyentse Rinpoche ('jam dbyans mkhyen brtse), managed to escape the Chinese invasion and later lived in Indian exile. The destiny of most of the others remains unknown but, given the well-known political troubles which were to occur some years later in Tibet, we can reasonably assess that the very most of them died or had to give up their contemplative life without being able to transmit their teachings to another generation of Buddhist ascetics. We can therefore presume that history left Negi Lama the only holder of many teachings which have now vanished in Tibet itself. Negi Lama also visited every monastery on his way in order to explore their libraries. He also attempted to visit the library of the “Kaya” Bonpo Monastery¹⁸, but the head-lama of the monastery did not give him the permission to do so, because he did not belong to the Bon tradition. Through the years Negi Lama became famous in Khams under the name of Gya-Lama, Gyagar-lama (rgya (gar) Ma ma) or Indian Lama and his fame as a great scholar of Buddhism spread all over the province. However, he still felt unsatisfied with himself. Having become a master in all branches of the traditional Tibetan curriculum and having collected many tantric initiations, among which many were known in Central Tibet only by name, he felt the need to learn Sanskrit, the original language of Buddhist Mahāyāna philosophy and tantrism. As he was not able to find a Sanskrit teacher in Tibet, he decided to return to India¹⁹. At that time – it must have been in the first half of the 1940’s, some years before India’s independence²⁰ – Negi Lama was about fifty years old already. On his way to India Negi Rinpoche passed through Kinnaur, his country of birth where he had not set foot since he had left home secretly as a young man²¹. The news of his coming raised a wave of enthusiasm among the Kinnauris who had come to know about his high level of Buddhist scholarship through some of their compatriots who had been among his disciples about twenty years before in Lhasa. He stayed in Kinnaur for some years and went from village to village giving basic teachings appropriate to the simple people who came to welcome him. While in Kinnaur, besides giving teachings, Negi Lama took the opportunity to correct the draft of an extensive grammatical treatise – a commentary on ngag sgron – which was a written version of the lectures he had given years ago in Lhasa. This was to be Negi Lama’s first book and shows once more the importance he laid upon the right understanding of classical language as the basic step on the Buddhist path. After having received the final touch, the manuscript was sent to Lhasa where it was printed on woodblocks at the Mentsi khang. Negi Lama was still in Kinnaur when he heard of Mahatma Gandhi’s death under the bullets of a Hindu fanatic in 1948. On that day he refused to take food as a sign of mourning. After his stay in Kinnaur Negi Lama left for Calcutta where he stayed for one year. A rich Khampa family living there was sponsoring him. He first tried to learn Sanskrit in the Bengali metropole but as he couldn’t get a good teacher he decided to move on to Varanasi. In Varanasi Negi Lama stayed at the Hindu temple of Lakshmi Kund Tekramat. Since he had no sponsors there and very few money to live on, he used to take only one meal a day. He is said to have been living like a sādhū at that time. In Tekramat Negi Lama could realise his dream of learning Sanskrit. He had found a proper teacher, an Indian pandit, who taught him Sanskrit-grammar for about 5 to 6 years. Meanwhile, although Negi Lama was still living the life of a recluse, his fame had began to spread among the Indian Buddhists of the western Himalaya. In 1956 Kushok Bakula Rinpoche, the head-lama of the Spituk Monastery (spe thub), came to know about him and invited him to Srinagar in order to receive teachings from him. Negi Lama stayed in a government bungalow in Srinagar where Kushok Bakula was supposed to come and meet him. But as Kushok Bakula was too busy with his duties for the Government of Jammu & Kashmir, Negi Lama after some time returned to Varanasi in order to continue his own studies²². In the same year Negi Lama first met the Dalai Lama, although this was to be a very short meeting. The Dalai Lama and the Panchen Lama had come to India for an official visit on the occasion of the festivities for the 2500th Buddhajayanti. The well known Ladakhi writer Tashi Rabgyas was accompanying them as a translator, for he knew Lhasa Tibetan as well as Hindi/Urdu and English. Tashi Rabgyas had got to know Negi Lama during the latter’s stay in Srinagar short before, he had been his disciple and therefore knew what a great master he was in spite of being still unknown outside the western Himalaya. Once, while standing in the middle of a crowd of people who had come to welcome the two high lamas and get their blessing, Tashi Rabgyas recognised Negi Lama in the crowd. He grasped his arm, pulled him in front of the Lamas and introduced him to them²³. After a short while, however, Negi Lama disappeared again, pushed away by the unruly crowd. It was only many years later in Tekramat that Negi Lama was to have his first true meeting with the Dalai Lama²⁴. After many Tibetans had come to India as refugees, the Dalai Lama organized an inter-school meeting in Mussoorie in order to take proper measures to assure the survival of the Tibetan Buddhist tradition in exile, while it was obviously being destroyed in Tibet itself. All important khempos, genes and rinpoches from all schools were invited. 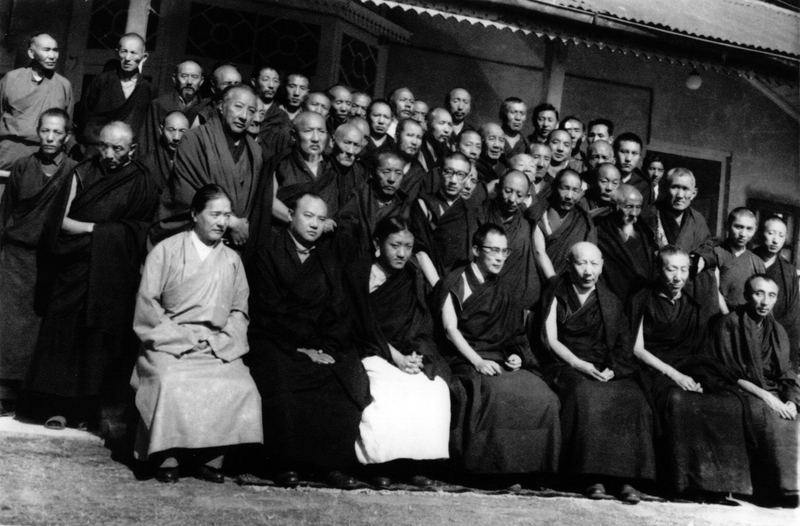 It was probably the first time in the history of Tibetan Buddhism that so many prestigious lamas participated in one meeting. Although he was not among the official guests and therefore most probably did not take part in the plenary sessions²⁵, Negi Lama was also present on that occasion. He left a lasting impression on many participants because he was obviously the most learned among them. It is told that, though many Khenpos were particular experts in a certain branch of knowledge, no one knew a tradition or a specific teaching which Negi Lama was not acquainted with. On the contrary he knew many teachings which they were not familiar with. 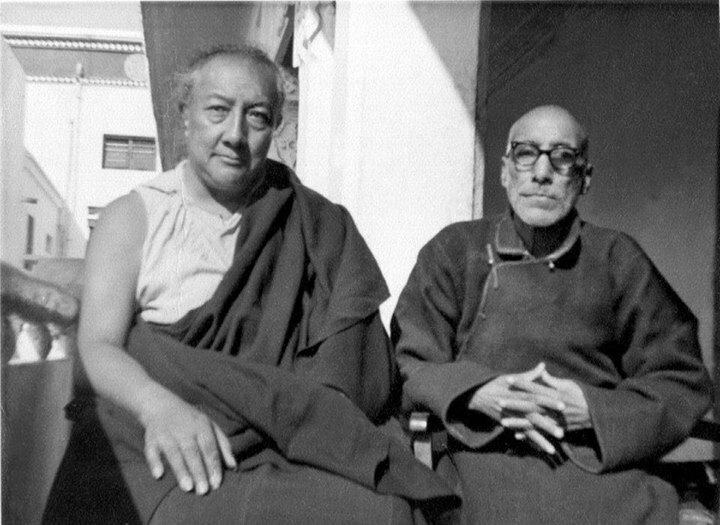 After the meeting, the Dalai Lama was told about this scholar, who – apart from the short encounter they had in 1956 – up to then had been unknown to him, and since at that time he was collecting all initiations (dbang) and teachings of Tibetan Buddhism, he decided to meet him as soon as possible and to become his student. He therefore rushed to Varanasi and came to meet Negi Lama accompanied by his personal secretary only. At that time Negi Lama was just recovering from a serious illness and was still feeling very weak. As the disease had affected his eyes he couldn’t see properly. He was also very poor and his only property was the old torn-up blanket he was wrapped in in his empty cell. Negi Lama noticed two monks entering his room and asked who they were. When he was informed by the private secretary who the visitor was, he objected that he wore no appropriate clothing and had no chair for His Holiness to sit on. He claimed not to be able to receive him under such conditions. As the Dalai Lama insisted on speaking with him they both remained standing and had a talk. The encounter was quite short, although more fruitful than the previous one: the Dalai Lama and Negi Lama only fixed a place and a schedule for further meetings. The Dalai Lama made up his mind for Bodhgaya as the proper place. From then on Negi Lama mostly stayed in Bodhgaya in order to give teachings to the Dalai Lama as well as to other high lamas among which Ling (glin) Rinpoche, the senior-preceptor (yongs 'dzin) of the Dalai Lama, was one of the most well known. He settled in Bodhgaya with two nuns from his native province of Kinnaur, who are said to have been his closest disciples and stayed with him for the remaining years of his life²⁶. Although it is not exactly known which teachings the Dalai Lama received from Negi Lama, the central matters obviously were the concept of Bodhicitta – a concept which plays a major role in the teachings nowadays given by the Dalai Lama²⁷ – and other aspects of Buddhist philosophy, like epistemology. The Dalai Lama naturally had other highly qualified teachers and counselors for religious matters (a.o. the so-called “mtshan zabs”), but the philosophical concepts which seemed still not clear enough to him he used to discuss with Negi Lama. Those meetings with Negi Lama left a deep impression on the Dalai Lama: when he gave his Kālachakra initiation in Bodhgaya 1985, he qualified Negi Lama as the “Śāntideva of our time”, referring to the great Buddhist philosopher. Ling Rinpoche, himself one of the greatest gelugpa lamas²⁸ received from Negi Lama teachings based on several Sanskrit texts which he himself handed down to his own disciples²⁹. After having given most of his knowledge and experience to so many illustrious students Negi Lama, now an old man in his seventies, came to consider his life-work as accomplished and decided to look for a proper place to spend the last years of his life in a peaceful atmosphere. He first settled in Nalanda, the most well-known place of Buddhist erudition, where a new Pali-Institute had just been opened. He enjoyed the place and decided to stay there. Soon after his coming, however, the then Prime Minister of India Smt. Indira Gandhi came to the institute on an official visit. For matters of security all persons living in and around the institute were made to leave their place and had to stay in some surrounding villages. Negi Lama had to stay for a while in a small village house where he didn’t feel comfortable. He therefore left Nalanda and went back to Bodhgaya, where he spent the last 8–9 years of his life together with his two nun-disciples in the Tibetan monastery which at that time was headed by his former disciple, Ling Rinpoche³⁰. Two months before his death he left Bodhgaya for a visit to Kinnaur and Lahaul, where he went from village to village teaching mostly from Gampopa’s (sgam po pa) “Jewel Ornament of Liberation” (dvags po thar rgyan)³¹. He died at the age of 82 on February 23rd, 1977 at Shashul monastery while on his way through Lahaul³². The front row of the photo [left to right] is Kyabje Dudjom Rinpoche, head of the Nyingma school; the 16th Gyawla Karmapa, head of the Karma Kagyu school; Kyabje Sakya Trizin, head of the Sakya school; Tenzin Gyatso, the 14th Dalai Lama; Yong Dzin Ling Rinpoche, the senior tutor of the Dalai Lama and future head of the Gelug school; Kyabje Trijiang Rinpoche, junior tutor of the Dalai Lama; and Bhakula Rinpoche of Ladakh, former minister in the Indian parliament and ambassador to Mongolia. The second row includes Chogye Trichen Rinpoche, Dilgo Khyentse Rinpoche, Druk Tuktse Rinpoche, Dagyab Kyabgon Rinpoche and Serkyong Rinpoche. Giving an appreciation of Negi Lama’s life and work first means pointing out the fact that he was in many ways an unusual lama. While in the past as well as today the leading figures of Tibetan Buddhism exclusively consist of Tibetan monks, he was neither a Tibetan nor even a clerical in the true sense of the word. The traditional academic “career” of Tibetan Buddhism, an almost life-long programme of studies following a curriculum fixed centuries ago at one of the well-established monastic institutions, progressing slowly but steadily from lower to higher academic titles was not the path he chose to go. Rejecting that kind of strictly institutionalised form of religious life, he instead actively searched for the best sources of erudition and spiritual experience of his time by which his personal quest might be satisfied. Accepting two young nuns as his disciples and spending the last 15 years of his life in their company was in open contradiction to the generally accepted view of nuns as passive participants of religious life, and, by the way, exposing himself to accusations of promiscuity. Instead of following one single line of transmission which he would have recognised as “the right one”, he collected and followed the teachings of different scholars, irrespective of the tradition (chos lugs) they belonged to. He rejected dogmatism and all the more the widely spread sectarian thinking. To be sure, Negi Lama was a man of faith; faith alone, however, was insufficient for him. In true Buddhist spirit he had to check out the basis of things and to test affirmations before accepting them. For all these reasons, and because of his extraordinary capacities rousing jealousy among established authorities of his time, he was repeatedly the object of enmities. Because he was such a nonconformist he became the object of intrigues and injurious rumours several times, even after his death as has been noted above. Gifted as he was, he could have led a secure life and have become a geshe or Khempo covered with honours, but this would not have been in accordance with his understanding of the path of religion. He preferred to live the life of a wandering ascetic searching for spiritual perfection, like the Buddha himself did. Considering the impact Negi Lama left on Tibetan Buddhism, two aspects should be distinguished: his innovative role and his role in the preservation of the Tibetan spiritual heritage. Although Negi Lama has truely been an innovative personality in the modern history of Tibetan Buddhism, he was no reformer in the true sense of the word, for he never held any official position. However, through his writings and much more still through personal charisma, his own example, and the influence he exerted on his disciples – in particular the Dalai Lama – he gave new impulses to Tibetan Buddhism. The emphasis he put on proper understanding of the scriptures instead of mechanical learning left traces on the type of education given nowadays by some Buddhist institutions. Besides that, this attitude inspired some of the “progressive” Tibetan intellectuals in-exile, despite the scepticism they otherwise generally show towards everything traditional, including the institution of the Dalai Lama³³. The central position he gave to the concept of bodhicitta as the basic step on the Mahayana path seems to have particularly influenced the Dalai Lama. The study of Sanskrit which Negi Lama initiated in the late fourties today forms part of the curriculum of several modern Buddhist institutions like the Central Institute of Higher Tibetan Studies in Sarnath or the Central Institute of Buddhist Studies in Choglamsar³⁴. To state that Negi Lama alone was the initiator of these modern developments would surely be an exaggeration, but he was one of those who definitely inspired them, for – beside his lasting influence on the Dalai Lama – we should not forget that many of his other disciples today hold leading positions in contemporary Buddhist institutions. The role Negi Lama played in the preservation and spreading of the Tibetan Buddhist heritage seems even more obvious. By collecting many little known teachings and traditions, particularly from eastern Tibet, he saved them from vanishing for ever in the course of the Chinese crack-down on Buddhist culture in Tibet. By handing down those teachings to a new generation of practitioners in India, he did not only carry on the line of transmission but even made them accessible to many more Buddhists throughout the Himalayan range and beyond, more accessible than they had ever been in Tibet itself. ¹ As a testimony of gratitude. I would like to dedicate this contribution to the memory of my main informant, the late Sangnak Tenzin from the Jangi village, Kinnaur (Himachal Pradesh), who passed away on January 15th, 1994. I also want to thank my friend Roshan Lal Negi, son of Sangnak Tenzin for arranging for me a meeting with his father and translating the interview from Kinnaurese language. The material presented here has been mainly collected during fieldwork for the research project “Buddhismus und Gesellschaft im Himalaya” (“Buddhism and Society in the Himalaya”) which was sponsored by the Volkswagen Stiftung, Hannover, between January 1991 and August 1994. It was the Volkswagen Stiftung too, which enabled me to participate at the 6th Colloquium of the IALS, and thus made this presentation possible. I am also very indebted to Susanne Kamuller, Bonn, who proofread the draft of this paper. ² Kunu (khu nu, sometimes also “ku nu”) is the traditional Tibetan name for the province of Kinnaur while Negi (ne gi, sometimes “ni gi”) is a very common clan and family name among Kinnaurese Buddhists. ⁴ Full name: grub bla gnyis pa mdo gsang sngags bstan 'dzin. This name, respectively title, was given to him by the late XVIth Karmapa. ⁵ It particularly lacked any feature of the customary teleological patterns and the stereotypal mentioning of wonders which are usual for this kind of literature. ⁶ I tried to make this contribution as accurate as possible; however, I naturally take the full responsibility for any mistakes, misunderstanding or omissions that the reader may find in it. Moreover all views and appreciations expressed here are mine and do not commit any of my sources and informants. ⁷ Sources: Negi Lama’s place of birth was taken from The Mahabodhi, June–July 1977, p. 371. His date of birth was given to me by Mr. Fatch Chand Negi, teacher at the Central Institute of Buddhist Studies, Choglamsar, Ladakh. The village Sunam (called “Summam” in the Mahabodhi) is situated in Upper Kinnaur, in the vicinity of Poo (spu), close to the junction of the Spiti (spiti/dpe ti/spyi ti) and Sutlej (glang chen kha bab) rivers (Manis Kumar Raha & Satya Narayan Mahato, The Kinnaurese of the Himalayas, Anthropological Survey of India, Calcutta 1985, p. 357; Peter, Friedrich, A Glossary of Place names in Western Tibet, in: Ethnologische Zeitschrift Zurich II, 1975). ⁸ Since Negi Lama was bom in 1894 and left home while being about 19 years old, his departure must have been around 1913. ¹⁰ I couldn’t find out what the title “Master of Tibetan language” exactly means. As far as I know there is no appropriate equivalent for it in Tibetan, so that one may consider it an indication that Negi Lama visited a western-type school, conferring grades related to the British educational system. If this was the case he should probably have visited the “Bhutia College”, headed by Kazi Dawa Samdup (see previous note) which at that time was the only western-type school teaching Tibetan language in Gangtok. This, however, is only a supposition. ¹¹ “Gyugchung” (rgyugs chung) was an academic title peculiar to Tashi Lhunpo, the passing of which was the minimum requirement for beginning studies at this monastic university. In the course of an exam which took place every year in January, the candidates had to recite by heart a very extensive ritual text known under the short title “bkris Ihun chos spyod” (full title: “chos grwa chen po bkra sis Ihun po'i phags tshogs dus sde rinpo che zhal don chos spyod rab gsal”). In order for the candidates to fullfil this requirement intensive one-year preparatory classes were held at the monastery. However, those who – like Negi Lama – did not wish to or could not attend these classes were welcomed to participate in the exam as free candidates. To acquire the grade of a gyugchung it was sufficient to recite one of the two volumes (about 14 cm thick each!) of the text. Those who knew both volumes by heart were rewarded with the title of “gyugchen” (rgyugs chen). I am indebted to Geshe J. Zongtse, Göttingen for this information as well as to Dr. Siglinde Dietz who put the question to Mr. Zongtse and diligently communicated the information to me. ¹² The reason why Negi Lama left Tashi Lhunpo just after passing his gyugchung examination is unclear, for as the title was nothing but a test of aptitude for beginning scholarly studies in Tashi Lhunpo and as study was Negi Lama’s aim, he should rather have been expected to stay there at least for some time. Since passing the gyugchung exams only made sense in the case the candidate stayed at Tashi Lhunpo for study afterwards, we must presume that either Negi Lama first planned to study there but for some unknown reasons changed his mind, or that he had subjected himself to this exam as a test of proficiency but never had planned to stay at Tashi Lhunpo. As Sangnak Tenzin’s account seems to imply that Lhasa was Negi Lama’s destination when leaving Sikkim, the second supposition seems to be more probable. ¹³ I was unfortunately unable to find out which monastery is exactly meant and who the lama called here “Kamda Norbu Tulku” (phonetic rendering) may be. After consulting several persons well acquainted with the Lhasa region – both Tibetans and Westerners – I could, however, gather some information out of which the following hypothesis can be proposed: The monastery was probably one of the several small monasteries belonging to the Drukpa tradition and situated above the right bank of the Kyichu river (skyid chu), approximately between Nyethang (snye thang) and Chaksam (lcags zam), where the Kyichu runs into the Brahmaputra (gtsang po). The fact that this region is about twice to thrice further from Lhasa than the quoted 7 kilometres should not automatically be seen as a contradiction to Sangnak Tenzin’s account since the distance was obviously guessed in the course of the interview. According to the reminiscences of Mr. Gonpo N. Ronge, Königswinter, there was in this region a “holy place” situated some kilometres above the well-known monastery of Dolma Lhakang (sgrol ma lha khang). Because sage (Salvia officinalis) used to grow there in abundance, the place was called “kan mda'”, which means “terrace of sage” (correct spelling of kan (sage) is uncertain; mda' given here as “terrace” may also connotate the lower part of a plain or plateau). Although there was no consecrated monastery there, many meditation practitioners from the Drukpa as well as other traditions used to reside at this place. They lived in caves and in different buildings. The chapel (lha kang) was one of those connected with Ling Repa (gling ras pa). Since many incarnate lamas are popularly known after the name of their main seat, we may assume that the “Kamda Norbu Tulku” in Sangnak Tenzin’s account was the lama heading this institution. This, however, is to be seen as an hypothesis which would need hither investigation. ¹⁴ Since Mahāmudrā is mostly practised in hermitages, this information would fit with the hypothesis proposed in note 13. ¹⁵ It is not clear whether Negi Lama’s stay in Lhasa lasted only 6 years or longer. Since no expressed affirmation about this topic was given in the interview, we could argue that he might have met Khamda Norbu long after his arrival in Lhasa, or that he stopped seeing him regularly long before he left the Tibetan capital, or both. Those 6 years have to be admitted as being the shortest possible duration of Negi Lama’s stay in Lhasa. ¹⁶ This is in accordance with the, particularly in Central Tibet, commonly accepted view on people coming from the border areas as being uncultivated. Kinnauris, like other members of ethnic groups from the southern slopes of the Himalayas related to the Tibetans, like the Tamang and Lepcha, would have been widely considered as “mon (pa)”, a term which could be freely translated as “southern barbarians”. The mon (pa) are the southern counterparts of the Hor (pa), the “northern barbarians”, by which name turco-mongolic nomads have been known in Tibet in ancient times. ¹⁷ The use of gossip and rumours was a common device for carrying out political and personal quarrels in old Lhasa. On this topic see M. Goldstein, “Lhasa Street Songs: Political and Social Satire in traditional Tibet” in Tibet Journal, vol. 7, Nr. 1&2, 1982; also Lobsang T. Lhodrakpa, "Voice of the People in Old Tibet" in Tibetan Review, Vol. XII No. 7, July 1977. ¹⁸ I could neither find out the location nor the proper spelling of the name of this Bonpo monastery. ¹⁹ We do not know whether Negi Lama came by himself to the idea of learning Sanskrit or whether he had been influenced by some other persons. He may have come under the influence of the non-sectarian movement (ris med) while travelling through Khams and staying for a longer period of time in Derge, which had been one of the centres of that movement. It is known that although Sanskrit has generally not been taught in the monastic centres of Tibet, the ris med movement under Kongtrul Rinpoche (kong sprul blo gros mtha' yas, 1813–1899) had reinitiated the learning of this language in Eastern Tibet in the first half of the last century. (On this topic see: Dieter Schuh, Tibetische Handschriften und Blockdrucke Teil 6 (Gesammelte Werke des Kon-sprul Blo-gros mtha'-yas), Wiesbaden 1976) In this case, however, since Negi Lama was not able to find a proper Sanskrit teacher in Tibet, although having been travelling through the province for 19 years, we must suppose that this tradition had been lost or at least was on the decline at Negi Lama’s time. ²⁰ According to The Mahabodhi, June–July 1977, p. 371, it was at the beginning of the 1940’s. ²¹ We don’t know for which reasons Negi Lama went to Kinnaur on his way to India and at which time he decided to do so. We must however presume that he was strongly motivated to do so since, as he came from Khams and headed to the gangetic plains, going through Kinnaur did not make any sense and – by the length of his stay – considerably delayed his aim of learning Sanskrit. ²² These informations about Negi Lama being invited by Kushok Bakula to Srinagar were provided to me by Mr. Tashi Rabgyas. ²³ We should remember that Negi Lama had stayed in Tashi Lhunpo while on his way from Sikkim to Lhasa. ²⁴ This anecdote was related to me by Mr. Tashi Rabgyas. ²⁵ Dagyab (brag g.yab) Rinpoche who was in charge of the organisation of that meeting could not remember that Negi Lama’s name was on the list of the official participants, which he himself compiled. ²⁶ According to the information given to me by Acarya Sherab Gyaltsen Negi from the Lava Monastery, Kalimpong one of the nun was called Bogti Negi, while the other one could have been Hirmal Negi, who also spent some years with Negi Lama. The identity of the second nun is not clear since there is a discrepancy between on one side the interview in which – in accordance with what I heard from other sources (for instance from Dagyab Rinpoche a.o.) – it was clearly stated that both nuns have accompanied Negi Lama until his death and on the other side the information given to me by Sherab Gyaltsen after which Hirmal Negi only stayed about 3 years with Negi Lama. However, the reliability of this last information seems more probable to me, since Hirmal Negi is an aunt of Sherab Gyaltsen. Possibly the nun who stayed with Negi Lama and Bogti Negi was a third one. As the nuns were about 50 years old in 1993, they must have been about 20 at that time, since the Mussoorie-meeting mentioned above took place in 1963. ²⁷ The concept of “universal responsibility” propagated today by the Dalai Lama is clearly a modem interpretation of the classical buddhist concept of Bodhicitta. ²⁸ Ling Rinpoche (1903–1983) has been shar pa chos rje since 1949 and dga' ldan khri pa since 1965, i.e. second-highest lama respeclivly head of the Gelug (dge lugs) school of Tibetan Buddhism. Beyond that, according to the second autobiography of the Dalai Lama “Freedom in Exile”, he appears to have been the most important preceptor of the XlVth Dalai Lama. Ling Rinpoche is told lo have been very impressed by Negi Lama, whom he seems to have met before, while both of them were still staying in Tibet. ²⁹ I am endebted to Mr. Tashi Rabgyas for this information. ³⁰ It is unlikely that Negi Lama stayed in the monastery itself, since no nun would be allowed to spend the night in a Gelug monastery. All three of them most probably stayed in the guesthouse situated next to the monastery and belonging to it. ³¹ Source: Bhikkhu Pasadika & Rev. Nawang Tsering. Some excerpts from the “Spiritual Diary” of Grub-Chen Ngag-Dbang Tse-Ring in memoriam Negi Rinpoche, alias Kunu Lama or Ven. Bstan-'Dzin Rgyal-Mtsan, in: The Mahabodhi, 85/4–5. April–May 1977, p. 145. ³² The information about date and place of Negi Lama’s death was provided to me by Mr. Fateh Chand Negi, CIBS Choglamsar. However The Mahabodhi, June–July 1977, p. 371 and The Mahabodhi, 85/4–5, April–May 1977, p. 145 (see note 31) state: February 20th, 1977. The Shashul or Shashur monastery (sha shur dgon pa or more rightly bkra shis shugs gling), which belongs lo the Drukpa ('brug pa bka' brgyud) tradition is situated above Kyelong (kye glang), the capital of Lahaul. ³³ It seems that particularly his book “byang chub sems kyi bstod pa rin chen sgron ma ...”, a collection of 356 stanzas on bodhicitta composed in Varanasi, which was widely distributed, left a lasting impression on them. (I have to thank my friend Dr. Dawa Norbu for this information and for making that book available to me.) The portrait on p.91 is from this book. ³⁴ The principal of that school, Mr. Tashi Paljor, has been a student of Negi Lama. ³⁵ It seems to me that the most important tasks would be to find out what Negi Lama did after his departure from Kinnaur and before entering Tibet as well as who his many teachers – particularly those in Khams – have been. This may cast a light on the influences he has been the object of. After I had had finished this article, I heard that a biography of Negi Lama in traditional style (rnam thar) has been published in dpe cha-form in 1989. The author is a Lahauli, Mr. K. Angrup, retired professor of Tibetan Language at the University of Chandigarh and former student of Negi Lama. The study of this work as well as of Negi Lama’s own writing would surely contribute to elucidate those questions. 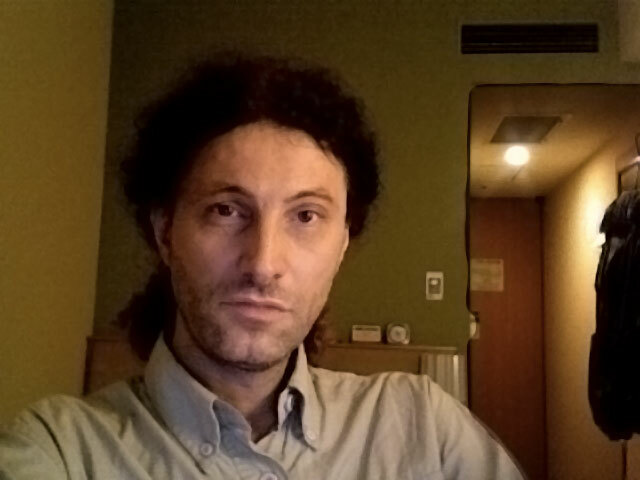 THIERRY DODIN (Germany/France) is a researcher at the Institute of Central Asian Studies, Bonn University. His subject of research are Tibetan popular culture, recent history and cultural change in the Himalayas, and other contemporary issues of the Tibetan cultural area. He is the author of a series of essays on these subjects and coeditor of Recent Research on Ladakh VII (1997) and Imagining Tibet: Perceptions, Projections, and Fantasies (2001). He is a member of the Permanent Committee of the International Association for Ladakh Studies. He was a member of the board of the Tibet Information Network (TIN), London until 2001, then executive director of the same organisation until its closure in 2005. In 2005 he founded TibetInfoNet as a successor organisation. He is still the director of TibetInfoNet. “Negi Lama Tenzin Gyaltsen – A Preliminary Account of the Life of a Modern Buddhist Saint.” was published In: Recent Research on Ladakh, 6. Bristol, 1996.